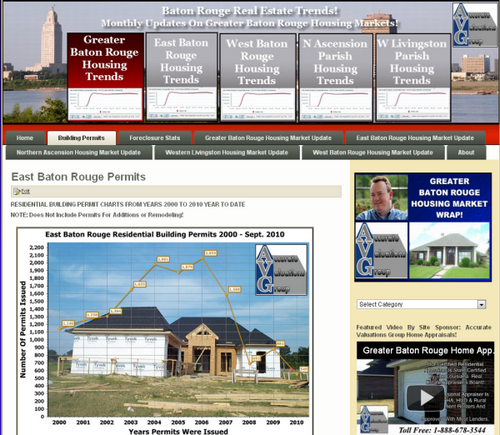 The West Baton Rouge Parish Residential Building Permit Data Through September 2010 has been released. See the results above for actual residential building permits less those permits issued for additions or remodeling projects. In 2008, there were a total of 146, in 2009 131 and in 2010 year-to-date, there have already been 136 through September 2010. 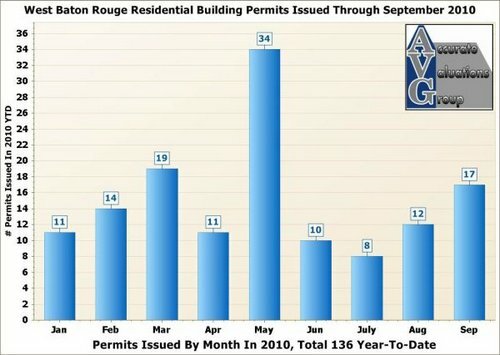 If this pace continues through 2010, there should be 181 permits issued, which will be better than both 2008 and 2009. The above data represents the number of total residential buildings, not necessarily the number of units. For example, in 2008, the U.S. Census Bureau shows that 284 total units were permitted, but only 146 residential buildings permitted. 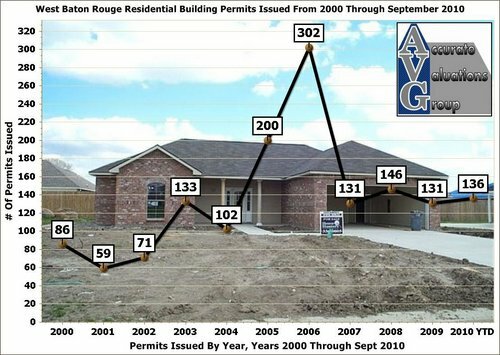 RESIDENTIAL BUILDING PERMIT CHARTS FROM YEARS 2000 TO 2010 YEAR-TO-DATE (Sept. 2010) NOTE: Does Not Include Permits For Additions or Remodeling!